...If you are a humbug who really does hate Christmas cheer, you probably wish you could just hide until the whole festivity passes. Voila! This Grinch mask will protect your real identity (because let’s be honest, no one likes a grump) while you to lean into your Ho-Ho-NO spirit . 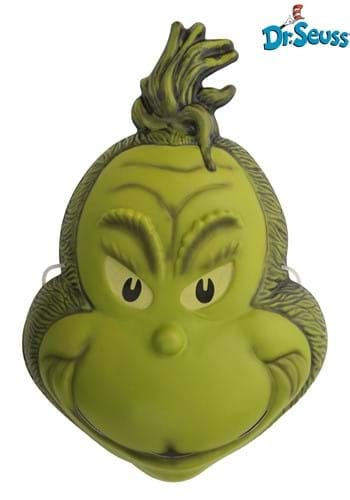 But...if you happen to be a Christmas cheer-spreader who loves the smell of pine trees, fruit cake, and eggnog, then this Grinch Mask is STILL perfect for you--you get to embody one of your favorite holiday stories and bring it to life for friends and family! You're either a mean one or not, but whichever side you land on, you are Mr. Grinch this year. His sinister smile is sure to make a few of your cousins hold onto their presents a bit tighter, or tickle the fancy of family around the fire!